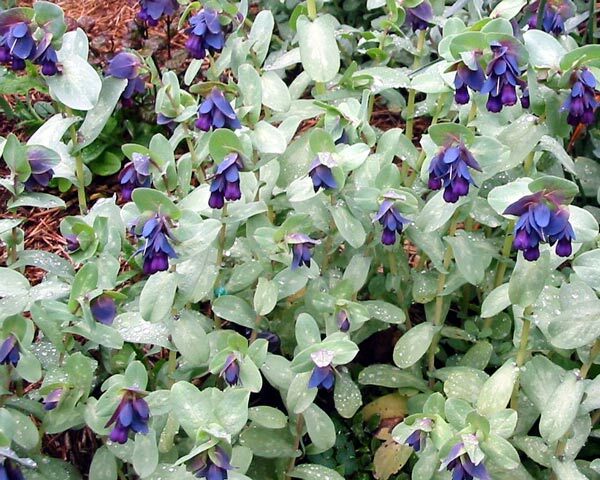 Cerinthe are absolutely beautiful free seeding annuals with blue-green foliage and small purple flowers which hang down. They are happiest in semi-shaded woodland areas in the Moosey garden, although a small patch insists on recreating itself every year in the hottest driest sun-baked border in the whole garden. I collect the seeds, but also buy packets in - there's a type called 'Kiwi Blue' which is supposed to be bigger and better. We'll see next spring, as I intend to have many pottles of this variety to mass plant in Middle border under the red Maple tree. 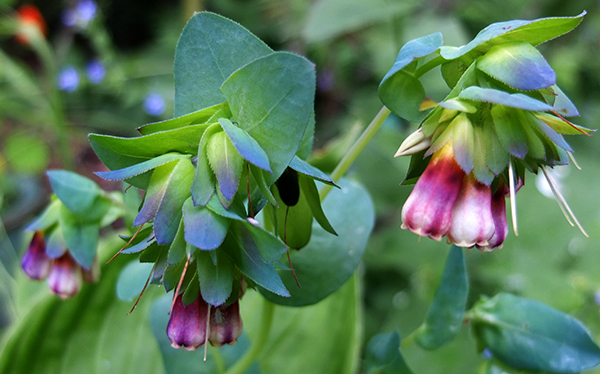 The colour combination of foliage and flower in Cerinthe is really inspired - this is a cheap and stylish plant to grow.